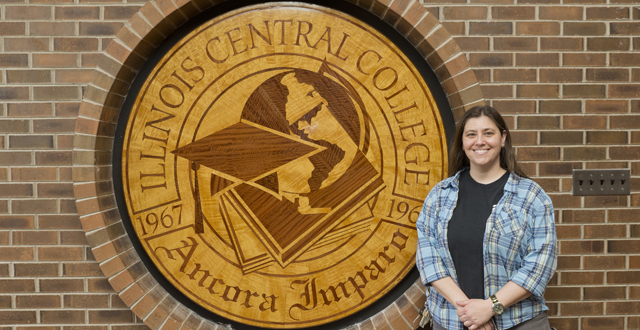 As part of the 2017 ICC Arts Week activities, Illinois Central College Art Program Professor and Teaching Chair Jennifer Costa unveiled a piece of art featuring the college crest to be displayed in the Performing Arts Center. 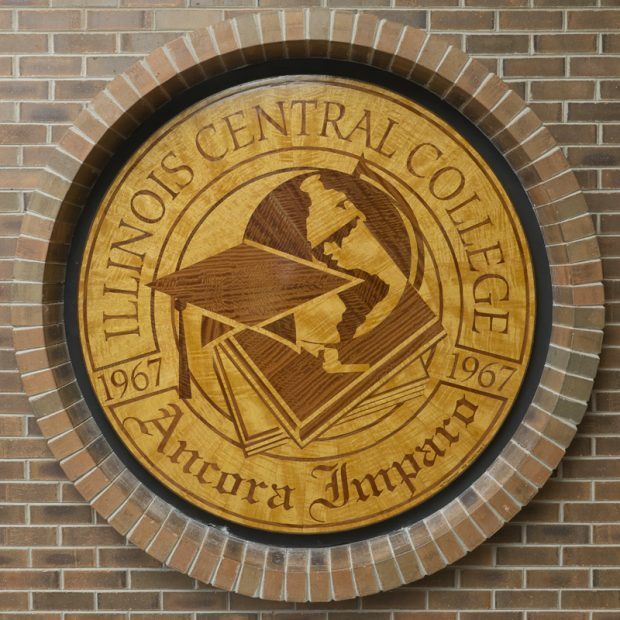 Professor Costa created the wood cut mural in anticipation of Illinois Central College’s 50th Anniversary coming up in 2018. Each year, ICC art instructors take turns creating a mural piece to be displayed across ICC campuses. Thanks to Jennifer Costa for her phenomenal contribution to our campus and the lives of our students! Fun Fact: hours spent….120 hours over the course of 10 weeks.